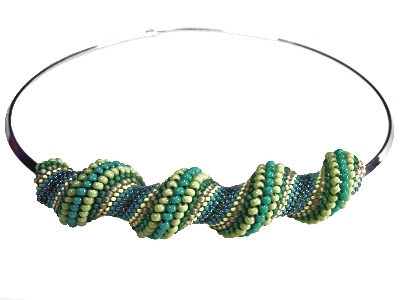 This necklace was created using spiral peyote stitch. It uses 8 different coloured beads in four different sizes. It is threaded onto a silver choker and sits at the base of the neck when worn.